When the Samsung’s Galaxy Tab S4 surfaced in renders, one striking detail that caught our attention is the lack of a fingerprint sensor and the only possible explanation for this is that Samsung could employ an iris scanner instead. Obviously, Samsung wouldn’t launch its new flagship tablet without any sort of security features. 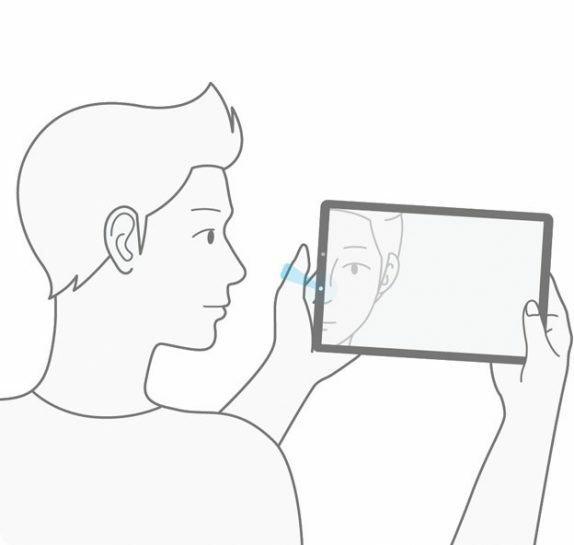 Cut to the chase, thanks to the instructional video, it is more or less confirmed that the Galaxy Tab S4 would feature an iris scanner. The new demonstration video comes from the official Galaxy Tab S4 firmware. Unsurprisingly, it is the same animation that plays when you’re setting up an ‘Intelligent Scan’ on the Galaxy S9 or S9+. If you are unaware, the Intelligent Scan combines the iris scanner and facial recognition when unlocking the device. Should one of them fail, other is used as a backup. According to the Wi-Fi Certification, Galaxy Tab S4 is expected to be powered Qualcomm Snapdragon 835 SoC with 4GB of RAM and 64GB of onboard storage. We are hearing rumors that the Galaxy Tab S4 will be introduced at the Unpacked on August 9th, 2018.